현존하는 김애립(金愛立)의 작품 가운데 가장 뒤늦은 시기인 1698년에 제작된 작품이지만, 그의 작품 중에서 가장 뛰어난 역량을 보여주는 대표작으로 평가된다. 종신의 전체적인 외형은 상부가 좁고 아래로 가면서 점차 넓게 벌어져 여수 흥국사 동종과 유사하며, 용뉴는 쌍룡(雙龍)으로 구성되었다. 연곽대와 연곽대 사이에는 4구의 보살입상이 유려한 모습으로 부조되었고, 종신 한쪽에는 왕실의 안녕을 기원하는 전패(殿牌)가 마련되었다. 이 종은 용뉴의 웅건한 표현과 단정한 보살입상, 세부 문양의 정교함 등 김애립 범종의 완숙한 기량이 유감없이 발휘된 17세기를 대표하는 범종으로 꼽기에 손색이 없는 수작이다. 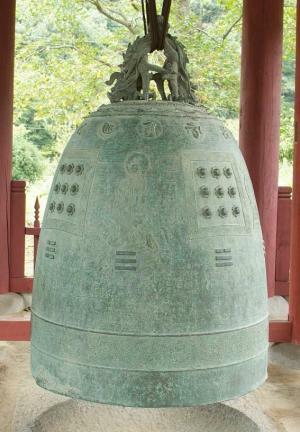 This bronze bell, dated 1698, is the latest and best among the extant temple bells known to be the work of Kim Ae-rip, a famous bell maker of the Joseon Dynasty. 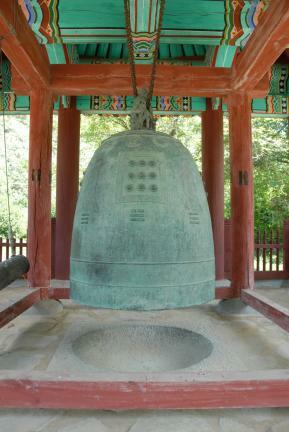 With a narrow shoulder and body that gradually widens toward the bottom, the bell echoes the shape of another bronze bell at Heungguksa Temple in Yeosu. 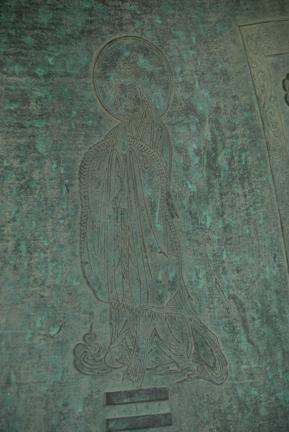 It has a hook in the shape of twin dragons, and the body has lotus panels with four standing Bodhisattva images skillfully carved in between. A tablet with the Chinese character ‘殿’ suggests wishes for the prosperity of the royal family. 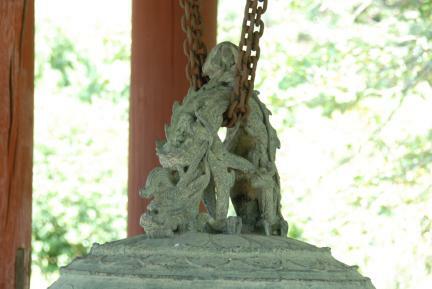 With the majestic dragon design on the hook, the elegant Bodhisattva figures and exquisite decorative patterns, the bell demonstrates the mature craftsmanship of Kim Ae-rip. 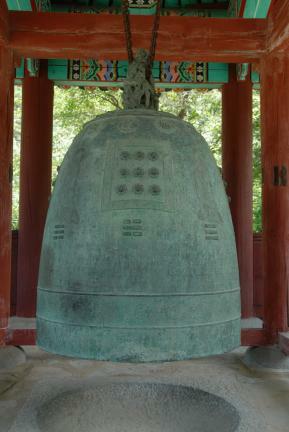 It also represents the best style of Korean Buddhist temple bells of the 17th century.